The School of Pedagogical Practice held a conference of cadres and officials and approved the academic year 2017-2018 on September 06, 2017. The conference was organized with the participation of Assoc. Prof. Thai Van Thanh, Vice President, and representatives from departments of Vinh University. On the behalf of the School, Dr. Phan Xuan Phon – Rector of the School reported results of tasks in the academic year 2016 -2017. Nguyen Thi Bich Le – Vice Rector ratified plan of tasks, objectives and implementation methods for the academic year of 2017 – 2018. 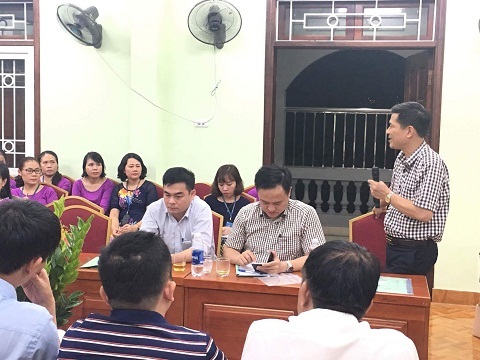 Upon reports, members in the Conference discussed about emulation norms and measures to implement the school year tasks for three levels, including preschool, elementary and junior high school. In addition, the conference also focused on other issues such as solutions for enhancing professional skills, reform of teaching and learning method, improving the role of class head teachers, and strengthening quality of ethical and extracurricular education. Assoc. 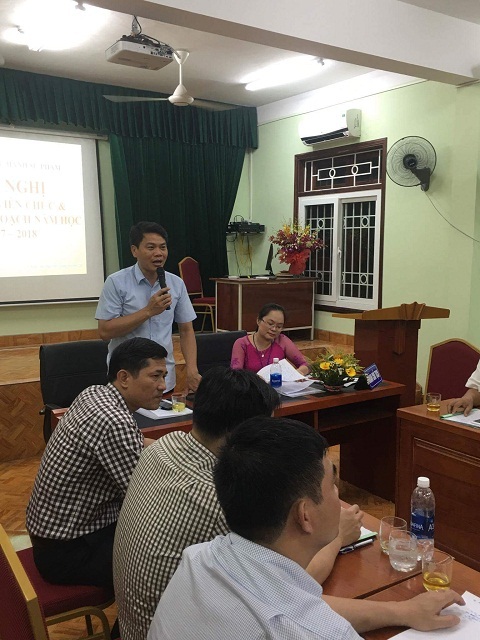 Prof. Thai Van Thanh praised results achieved by the School and emphasized on the teachers’ responsibilities and roles in regular pupil assessment. He placed he importance on enhancing foreign language proficiency for both pupils and teachers in the School. 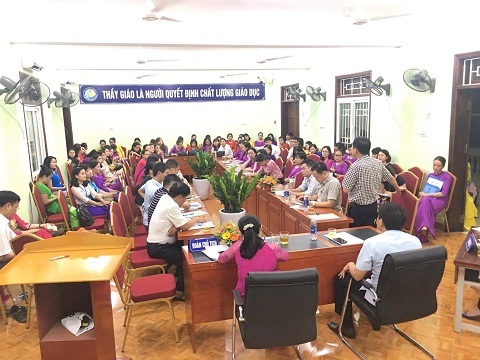 A delegation, including 17 peoples were voted to attend the conference of cadres and officials of Vinh University. School’s teachers and employees aware their responsibility and try their effort to overcome challenges in order to achieve successes for new academic year.